The Blooms by the Box office is bustling with fall wedding season in full swing, but that hasn’t stopped us from taking a few moments today to melt over our recent press features! This month, it’s all about real wedding inspiration, and we promise you will not be able to believe that these weddings featured do-it-yourself bouquets, arrangements, and more eye-catching floral designs. From Florida to Virginia and Minnesota, we’re covering the map with several celebrations (and the sweetest vows) that you won’t want to miss! 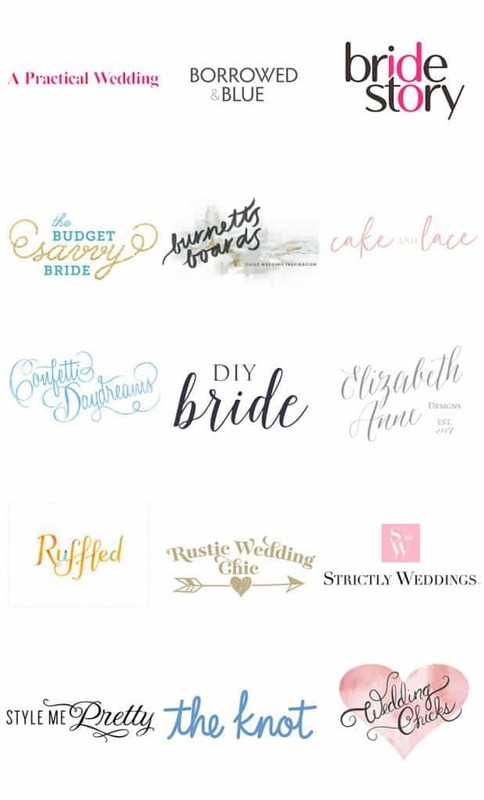 Thank you to our friends at DIY Bride, Zola, PartySlate and Orange Blossom Bride for featuring each of these weddings! 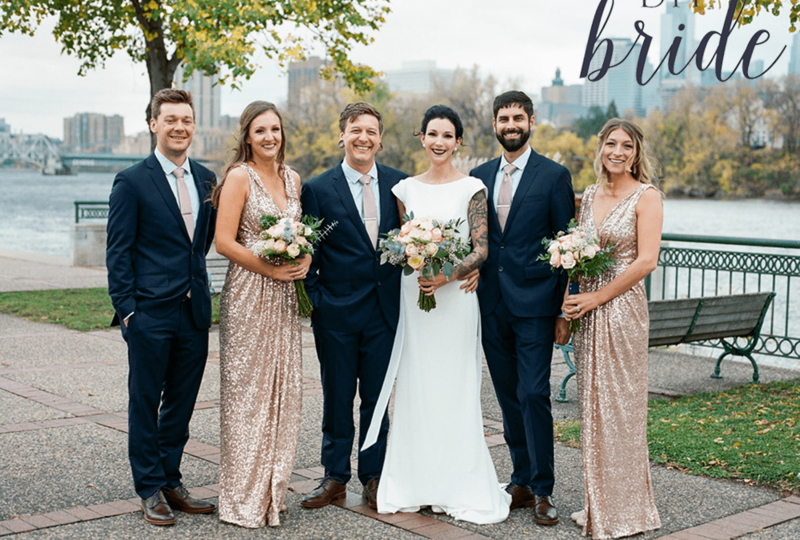 Our friends at DIY Bride said it best, “The best things when it comes to having a DIY wedding is that you and your partner can actually show your real creativity, style, and personality.” And, for Kyle and Liz’s Minnesota vintage-inspired wedding, their DIY wedding day shined with personality and unreplicable style. With the assistance of a few talented friends and family members, Liz designed her flowers with prestige. For her bouquets, she incorporated a marriage of Blooms by the Box red-kissed and cream roses with baby’s breath and accents of ferns and eucalyptus. Simple, yet darling arrangements of ferns and baby’s breath were perfectly placed down the family-style reception table settings – a look we will never get tired of witnessing! Access all of Kyle and Liz’s can’t-miss vintage wedding inspiration by heading over to DIY Bride’s blog here. Timeless as the day is new, Jazmin and Robert’s glamorous wedding at The Palmetto Club in Florida is featured on Zola! Their wedding is classic to its core and full of all the ballroom details that made us fall hard for country club-style receptions all over again. Jazmin and Robert chose a soft lavender and velvety white color palette for their wedding decor, and we are honored to provide the flowers for their grande event. The duo crafted arrangements, boutonnieres, bouquets and cake flowers using purple and white roses, baby’s breath, rich hydrangeas, and white Delphinium. One of our favorite details of their decor is how they utilized different vase heights to play up the height of the reception space! Don’t miss Jazmin and Robert’s wedding on Zola, and view all the images captured by True Love Photography here. While our team will be the first to tell you that we are big fans of a themed wedding, Jordan and Jeff’s wedding, featured on PartySlate, might be the event to change our minds. When we ask what their theme or style was for their big day, Jordan responded, “We just kept it real, kept it us, and kept it fun.” Swoon! We’re pretty confident that it would be impossible to name just one aspect of Jordan and Jeff’s Virginia wedding that we love. From the bubbly ceremony recessional to the eucalyptus garlands that adorned the welcome signage and tablescapes, the vibe of their wedding was relaxed and intimate with a 36-person guest list. View more from Jordan and Jeff’s wedding on PartySlate by browsing here. 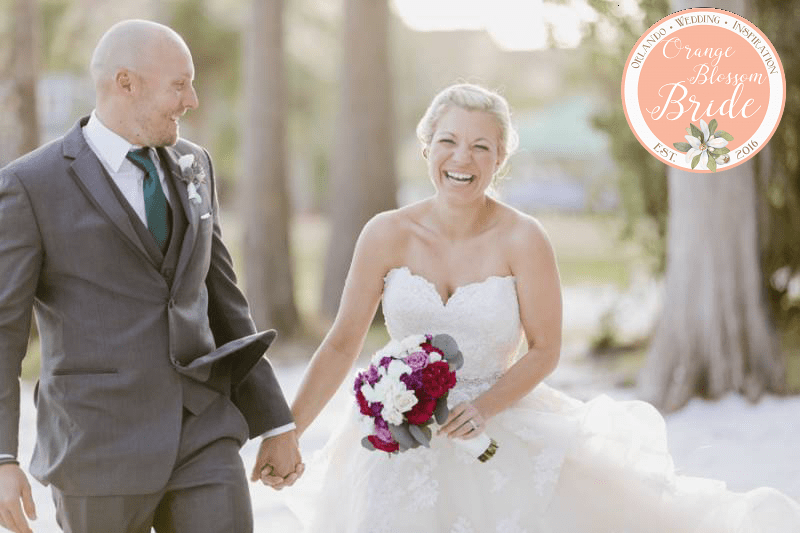 Nicole and Brian’s Paradise Cove Wedding in Florida caps off our November real wedding press, and we could not think of a better wedding to toast to! The pair took advantage of the venues natural beauty and opted for simple decorations with bright, bold blooms. The bouquets were designed with magenta carnations, white hydrangeas, lilac roses, and muted eucalyptus, which offered a beautiful contrast to Nicole’s bridesmaids’ teal bouquets. Check out more from their DIY wedding on Orange Blossom Bride’s blog here.